By default, WebSite-Watcher monitors the text content of a page. When you open a bookmark, you'll see the rendered version as when you open the web page. 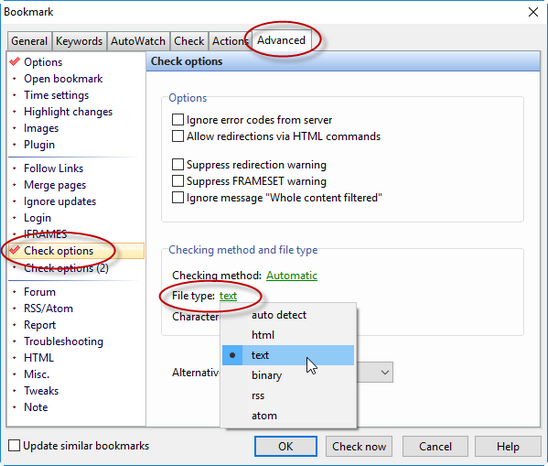 If you want to monitor the source code of a page and also want to see the source when opening the bookmark, you have to change the following settings in the bookmark properties. 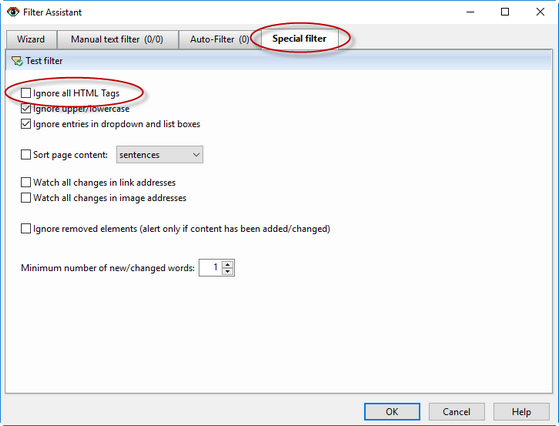 To monitor the page content with all HTML tags, you have to disable the special filter "Ignore all HTML tags". 4. 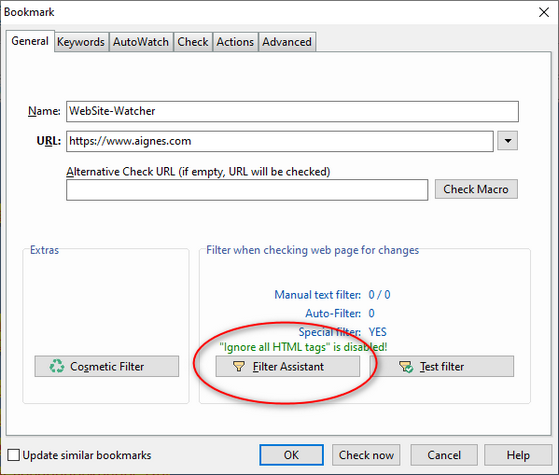 Uncheck the filter "Ignore all HTML tags"
To see the page source code (instead of the rendered page) when opening the bookmark, you have to change the file type from "auto detect" to "text". 4. Change the option File type from "auto detect" to "text"